‧ The NS Slotted body forms 4 large bearing surface legs on the backside of the parent material providing the best all around pull out strength. 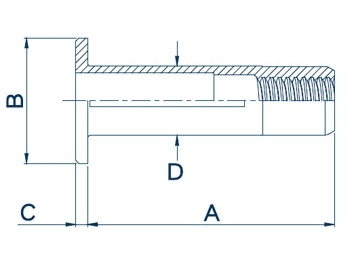 ‧ The unique double wall counter-bore wall enables the NS to have the widest grip range of any rivet nut fastener. 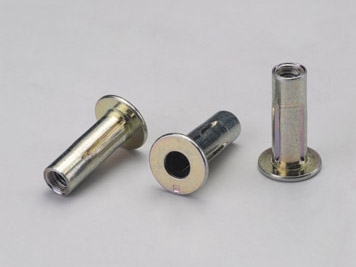 ‧ The wide spread of the legs on the backside eliminates the need for backing washers in soft plastics making the NS ideal for applications in blow molded and injection molded plastic. ‧ The NS is installed with the SP 999 long stroke spin pull tool. ‧ See page 26 for dimensional data and part numbers.